All Busy Bags are available for order at just $3 per busy bags of your choice + shipping. 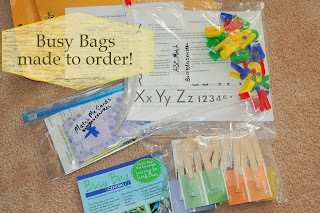 BusyBagKits are $20 each + shipping. Please email to inquire for purchase. You are your child's best teacher! Thanks for reading and we look forward to hearing from you! "Teaching boys how to be men" is one of my boards on Pinterest (found here if you want a lot of great reading!). It's a collection of all kinds of articles to help my husband and I teach good character as we hope to train up Godly men in our home. Most days I feel that I need all the help I can get. Growing up with all sisters and 4 girl cousins has created a shock for this momma when I had all boys. I mean, "What am I supposed to do when my 3 year old boy wants to play tractors....for TWO HOURS?!?" = It means I learn how to play tractors and how to make better vehicle sounds; and learn to love it! remembering to point out how God is working as we make choices, and so on. And the even harder part comes when there's a problem. ....with a friend at school, with a sibling, with a personal challenge. So I stop to listen and encourage good character traits. I try think of my sons as the future men they are becoming...and how my words greatly impact their internal vision of themselves. And I’ve always told my kids that your job isn’t who you are. So when folks ask my kids what they 'want to be,' they think character, not career." Being kind. Being brave. Putting aside ourselves so as to encourage others. Loving unconditionally. 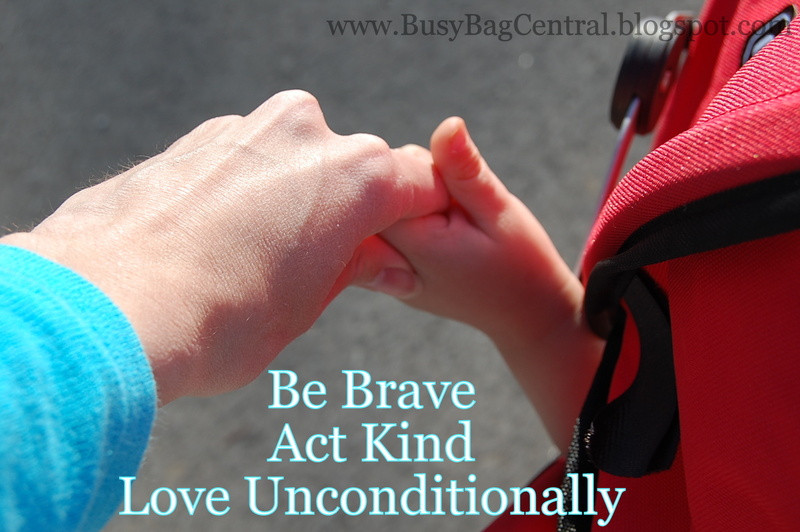 May the weariness of parenting fade as your bravely and kindly lead your children today. 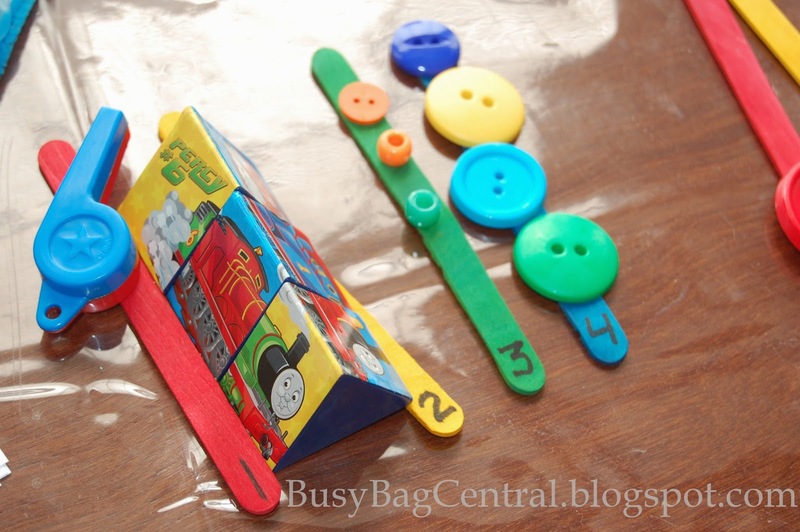 Button Snake Busy Bag -- ideas for sorting sizes "big vs little"
Now that our youngest is almost two, he's ready to start working on life skills that Busy Bags can teach. The first time I heard of a Button Snake, I thought it was such a simple concept. After making one, I handed it to my son to play with it but he just stared at me....like "And what do I do now?" 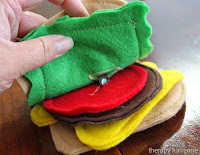 Here's the original post from 2012 where I realized that learning to thread a button can be hard and require practice; jsut as learning how to use a spoon, how to put on a shirt, and how to brush your teeth! The basic instructions are: Provide the child with the materials and let them practice threading the felt shapes on and off of the ribbon “snake”. For really young users or beginners, it may be helpful for them to see what the finished goal looks like. 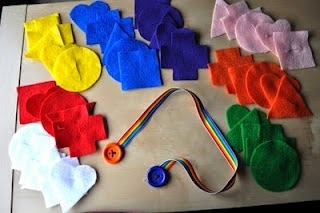 Plus you may have to work with them to teach how to actually push in and pull through with each felt piece. There are lots of different button snakes you can create. For our toddler to work on learning "big" versus "little", I came up with a series of larger shapes and smaller shapes to be threaded on two different lengths of ribbon. Plus I also like our version since there are buttons on each end. 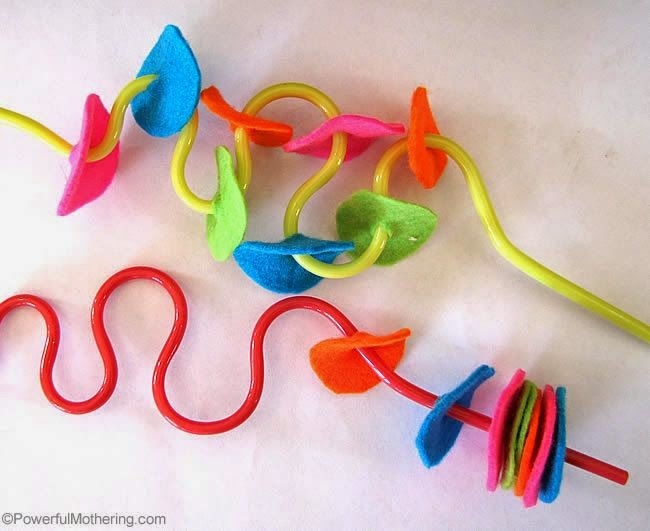 When I made the first snake with just one button and left a 'tail' (= just the end of the ribbon), my toddler kept pushing on the felt shape and then pulling right off the other end so we never got them put on altogether. With a button on each end, specifically a larger button, it helps the toddler know to put on and leave until ready to practice un-buttoning! Button Snake Busy Bags are available for order as well all other busy bags on the Master List...just email with interest! Busy Bags ready to order - ready and tested for awesomeness! Orders being filled this week are for busy bags in quantities of 3 and 6....you pick! Also working on several special requests for toddler bags. Excited to post the new activities soon. All bags are tried and tested for awesomeness by our boys. My boys' ages are 1, 3, 5, and 7 so there is always someone ready to try out a new activity! 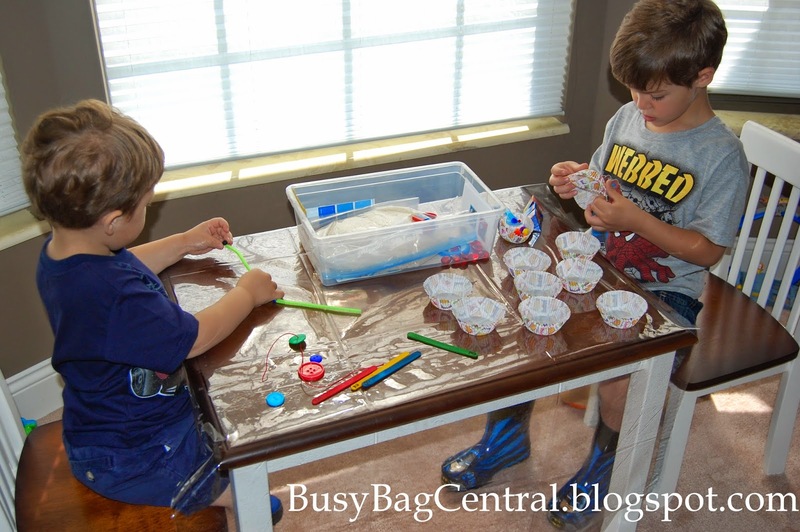 Are there any specific activity bags or sensory kits you want to try at home but don't have time to make?? Comment below or email me so we can make it happen! Sensory Kits are rice plus toys and kids love them ...say what the what? 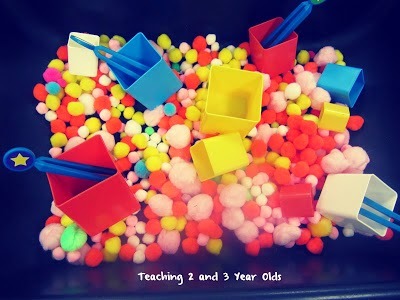 After Pinterest first came out, I found several ideas for my Preschooler Playtime Board all related to using a bucket filled with rice plus random items. 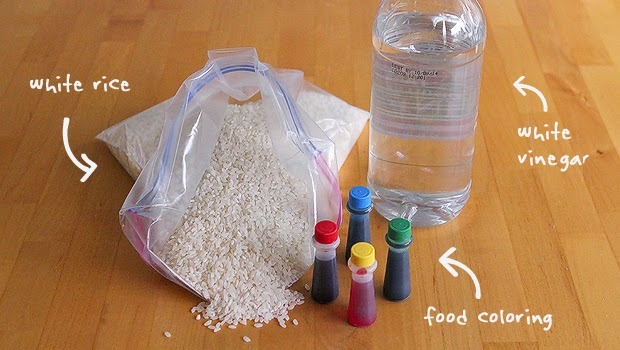 My thoughts went something like this -- "So rice which is an every day item and easy to vacuum up without much regret plus a spoon or magnifying glass and just bonus stuff to sort though. What???? No way. And kids like this? Say What?? Shut the front door." Yes, my thoughts exactly....until I made my own and gave it to my littles...who played for an hour. (Again, SayWhat???) Here they are at ages 2 and 4. We practiced stringing, lacing, sorting, color recognition, and more. Then we dumped it all back into the box and did it again!! We did have a mess of rice on the floor but for a momma who hates playdough and little boys who hate writing, we needed a non-electronic activity to encourage fine motor growth and finger strength. I searched all over and found lots of 'themed' kits and then made up my own!! My boys enjoy the movie CARS as well as Thomas the Train so these kits are their favs. And since I have several nieces plus lots of friends with little girls, I came up with sets for Disney Princesses, Hello Kitty and Tinkerbell. Priced at just $20 and it comes with an instruction sheet to guide you through several activity ideas! (plus shipping) Email to order! Feel free to search my pages on Pinterest. 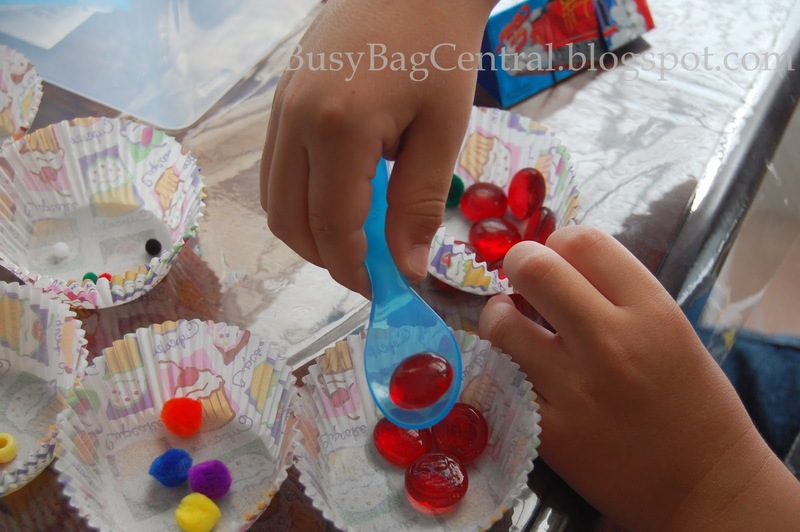 For more awesome sensory kit ideas, here are 3 of my original favorite pins about sensory kits! 1. 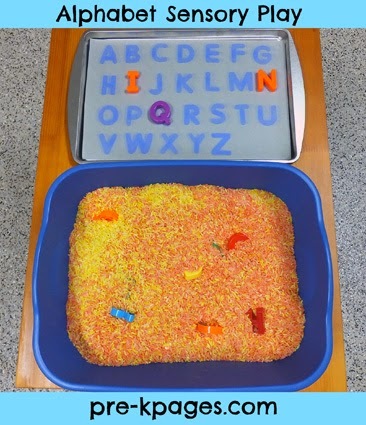 This sensory kit would work well with the ABC Busy Bag and rice from a sensory kit! 2. This kit would be fun with the tweezers Bead Threading Busy Bag! And 3. We now use a cookie sheet under our sensory box to catch the rice...and how cool would it be to have rainbow rice! Please comment below with any pins you love and want to share with us!!! 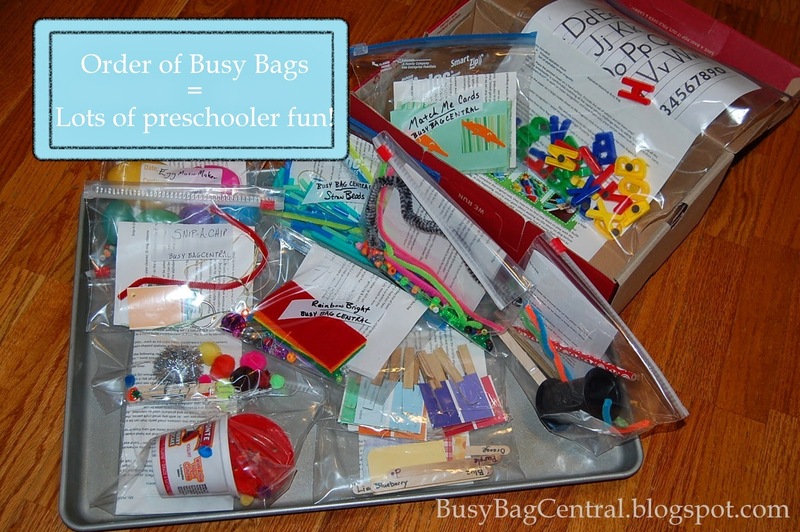 Order of Busy Bags = Lots of Preschooler Fun! 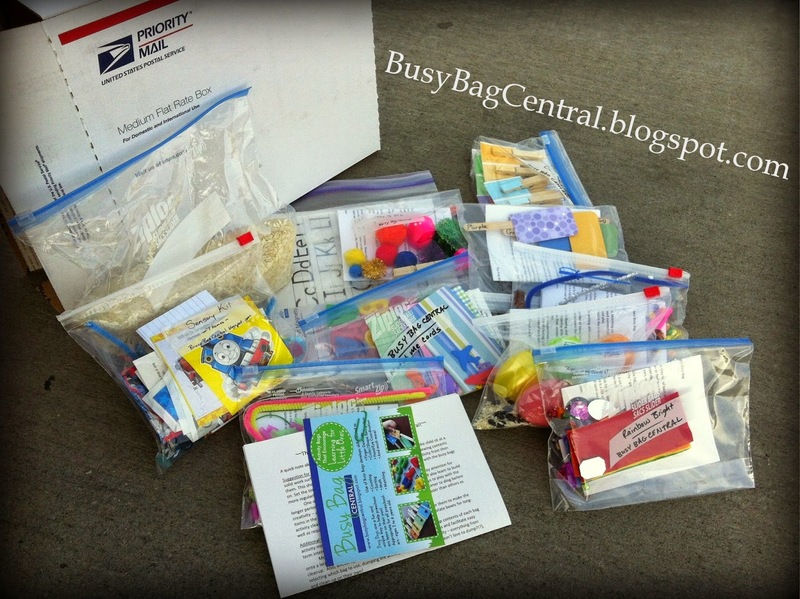 Shipped out an order of all ready-made busy bags which means a little preschooler is in store for hours of fun!! As I was collecting the items for this order, my 3 year old kept asking, "Ooh, what's that?" and "Oooh, cool." and "Mommy, that looks fun!" My 5 year old impresses me with his lego creations. On a regular basis he will pull out the basket of duplo blocks or regular legos and start creating. My ideas include making...um, a house, and a road, and um...another house. Then I sit back and watch my boys build much "grander" creations than I could have thought of. On this particular day, my kiddos decided they needed a home for their Zhu Zhu pets. We spent time creating their home and then the boys spent a long time pretend playing and sharing stories about their pets. 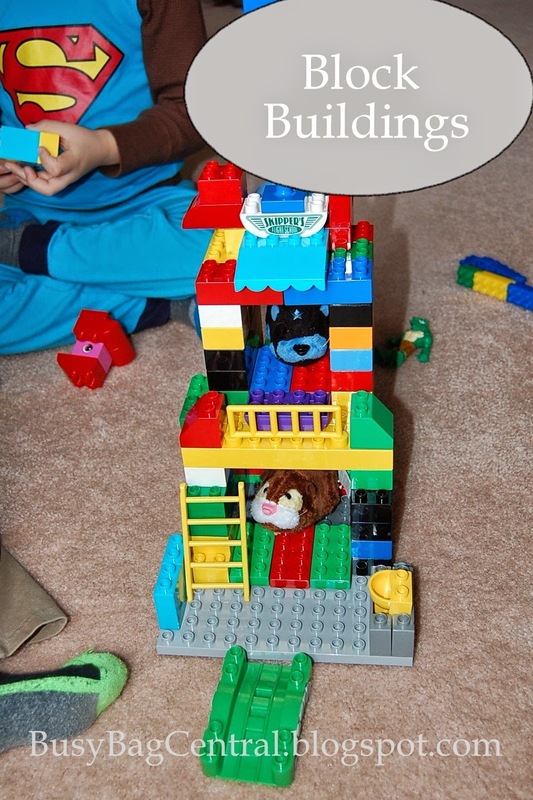 When we first bought legos, I searched all over Pinterest and found a few good ideas (preschooler playtime pin board here)...but then I spent more time looking than we did playing. Honestly, the boys have more fun when we just sit together and they create!! One thing about parenting that I've been surprised by is that I've forgotten how to play - and have been glad that my kids teach me just as much as I teach them! Excited to send out orders of busy bags and sensory kits! Oh I wish I could see the faces of the momma and kiddos who will be opening their order this week! I felt excited seeing all the activities when packaging them up! Was happy to give a discount for ordering several busy bags AND a sensory kit. ...and even more excited to treat them with a bonus *mystery* bag! Rachel May Bailey ~ Investor in real estate. Investor in people. Number of other guests who love BusyBagCentral!